Choose from electronic gift certificates or gift cards to share the Spaghettini experience with others. 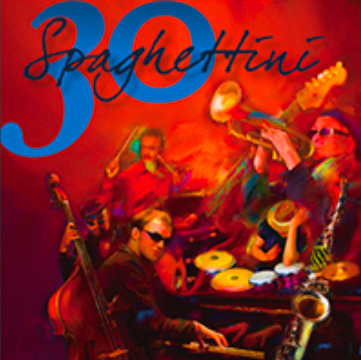 You can also bring the Spaghettini food and entertainment home with our 30th anniversary CD, Cook Book and hats. December Gif Card Promotion: Purchase $100 in Gift Cards and receive a BONUS $25 Gift Certificate*. *Bonus certificates valid after 1/2/19 and are not valid for private events. 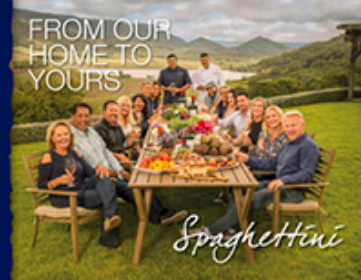 Our 30th anniversary Cook Book, From our Home to Yours, a celebration of your favorite recipes. Hats with a pop of color – perfect for the Spaghettini enthusiast. 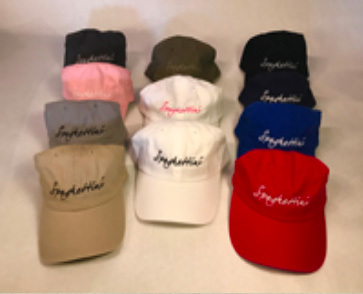 Choose from two logo colors.